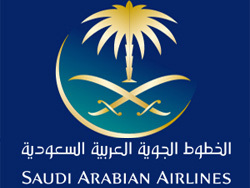 May 15 - Saudi Arabian Airlines will receive the promised Airbus A330 aircraft, the first of eight ordered by the carrier next week in a bid to update its fleet with 70 new airbus and Boeing aircraft. “The A330 has 36 seats in the horizon class and 262 in the hospitality class and will serve as an additional boost to the company’s potential to implement its current and future marketing and operating plans,” Saudi Air Assistant Director General Abdullah Al-Ajhar said. “This most modern model of passenger aircraft is in high demand the world over and is currently operated by 81 airlines companies. This wide body plane also provides Internet services and the latest audio and video systems,” he added. So far, the carrier has received 10 new planes out of a total of 35 Airbus model A320, 15 A321, eight A330 and 12 Boeing 777 to be received.